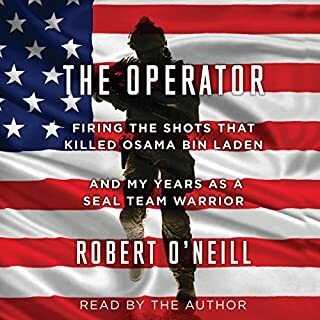 From the streets of Iraq to the rescue of Captain Richard Phillips in the Indian Ocean, and from the mountaintops of Afghanistan to the third floor of Osama Bin Laden's compound, operator Mark Owen of the U.S. 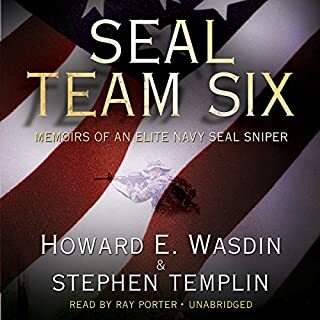 Naval Special Warfare Development Group - commonly known as SEAL Team Six - has been a part of some of the most memorable special operations in history, as well as countless missions that never made headlines. No Easy Day puts listeners alongside Owen and the other handpicked members of the 24-man team as they train for the biggest mission of their lives. The blow-by-blow narrative of the assault, beginning with the helicopter crash that could have ended Owen's life straight through to the radio call confirming Bin Laden's death, is an essential piece of modern history. In No Easy Day, Owen also takes listeners onto the field of battle in America's ongoing War on Terror and details the selection and training process for one of the most elite units in the military. Owen's story draws on his youth in Alaska and describes the SEALs' quest to challenge themselves at the highest levels of physical and mental endurance. 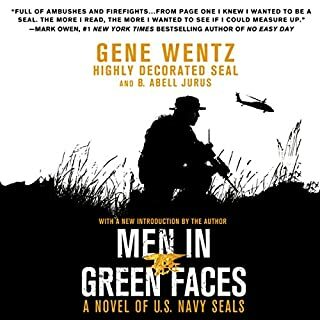 With boots-on-the-ground detail, Owen describes numerous previously unreported missions that illustrate the life and work of a SEAL and the evolution of the team after the events of September 11. 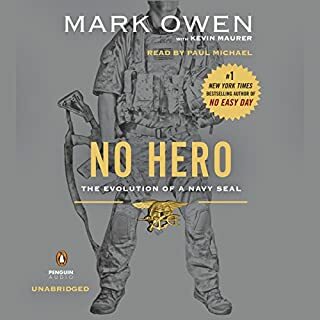 In telling the true story of the SEALs whose talents, skills, experiences, and exceptional sacrifices led to one of the greatest victories in the War on Terror, Mark Owen honors the men who risk everything for our country, and he leaves listenres with a deep understanding of the warriors who keep America safe. If you enjoyed this book I would highly recommend The Operator. Very interesting story. If you are buying this expecting some policy debate on AFPAK, Osama Bin Laden, or al-Qaida, this is probably not your book. 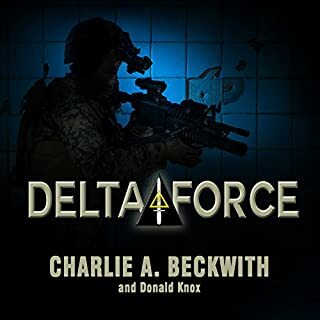 If, however, you are looking for a gripping, first-hand narrative of Operation Neptune Spear, written by one of the members of the SEAL team that was on the ground, this is the book for you. 'No Easy Day' isn't a perfect book and from a strickly literary standpoint it isn't as good as 'Black Hawk Down', etc., but it does provide a nice framwork for the lay-person to understand some of the on-the-ground details of the preparation and raid and men that got Osama Bin Laden. 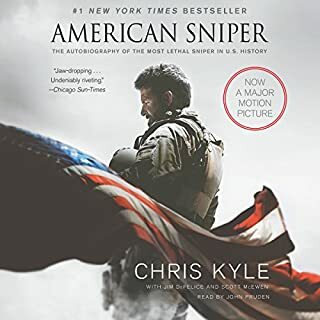 As a friend to several members of the Night Stalkers, and the brother of a black hawk pilot who spent considerable time during the past 10 years flying special operations teams around Afghanistan, ANY book that can grab our nation's attention and focus it (even for a minute, but let's just hope it is longer) on those brave men who sacrifice so much to carry out our nation's interests day-after-day. deserves our attention. One further reason to read this book. 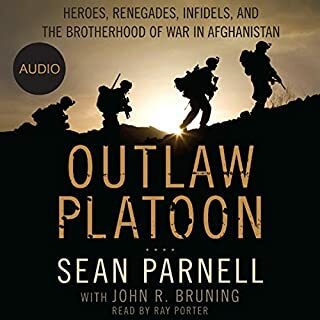 If the back and forth between Owen and the Pentagon is any indication, this might be one of the last memoirs of this Calibre from SEALs or Special Operations operators that we might see for awhile. Holter Graham does a fine job of narrating this book and doesn't slow down the energy of the books narrative. My only real complaint, I wish it was a little bit longer. 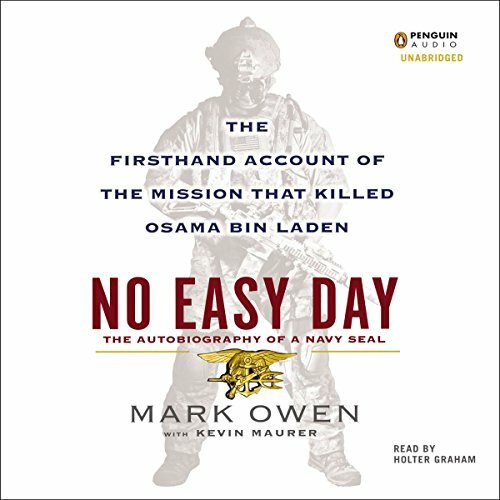 No Easy Day is the first hand account from a Navy Seal from Seal Team 6 of the life of a Seal and the takedown of Osama Bin Laden. When I started reading this book I did not expect it to read like a Tom Clancy novel, but it does. 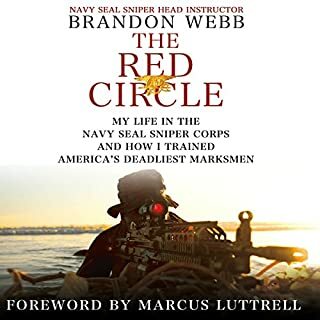 It is a short book but it is told well and gives the reader a real sense of what it is like to be a seal every day, not just on May 1, 2011. I expected to hear a tale of bravado in dealing with the legendary difficulties of seal training. There was necessarily some of this but what surprised me was the telling of Owen’s insecurity of whether he could make it combined with a strong confidence in his capabilities. Simple mistakes during training could wash out a prospective candidate. This is a well told personal story. The other thing that I learned from No Easy Day was the number of missions that these teams carry out each year largely resulting from actions in Iraq and Afghanistan. At times these teams are in action every week to clear buildings and capture or kill bad guys. Each of these actions put the seal team members in life threatening situations that civilians can barely imagine. Owens describes in detail several larger operations, including a takedown of an “impenetrable” mountain enclave of Taliban fighters. He describes the evolution of tactics from zip lining from a helicopter onto a building, “Flying to the X”, to landing a few kilometers away and marching with stealth to the target. Many of the tactics used by bad guys exploit the changing rules of engagement that the soldiers need to follow. For example, when confronted they would make sure their weapons were out of reach so the seals would not be allowed to shoot them. At one point, after reading of so many tactical “secrets” I did begin to wonder if the bad guys could take advantage of this information. On reflection, the bad guys already know all of these tactics and it is the civilian readers who are learning them in this book. From my perspective this was not a political book. Although it is clear that many seals do not favor the Obama administration this is a minor part of the story. Releasing this book has of course raised many eyes as actions by seals are supposed to be kept secret. In the book the team members made jokes about who would play each other when the Takedown of Bin Laden movie is released. Perhaps Owen just wanted to make sure the script was accurate. 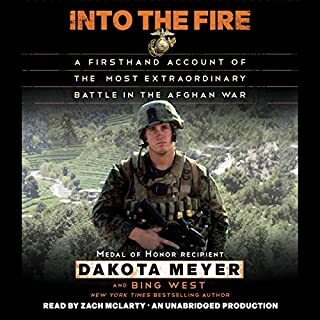 Whatever the motives for writing this book were, the result is that the military now has the most powerful recruiting tool that can be produced. This is a fast paced, well written, timely and interesting book and I give it a good read. 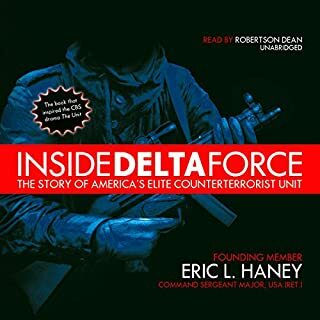 I picked this up after reading Inside Delta Force, which was excellent, and the detail seemed to be missing in this one that was so rich in Inside Delta Force. Would you recommend No Easy Day to your friends? Why or why not? It is interesting to read about how they got Bin Lauden although most people already know most of the detail I think. The author talks about how he left out many details that are still Secret although I understand they still got into trouble for what he did tell. What about Holter Graham’s performance did you like? Could you see No Easy Day being made into a movie or a TV series? Who should the stars be? This is a good book overall but I don't think it approaches the high ratings it has been given. I feel I have to title my review this way because although I'm very glad this event happened, and I have boundless admiration for the people who participated in the raid, including the author, I can't honestly say it was a great book. To be fair to 'Mark Owen', his ghostwriter, Kevin Maurer, does bear some responsibility for taking a tired, pseudo military thriller approach to the story. 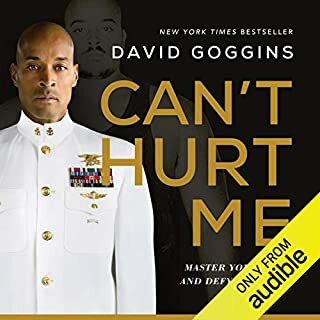 The first half of the book is a very mediocre, dramatized 'montage' approach to what it takes to be a Navy Seal and rise up through the ranks to do the type of special operations detailed in the book. As heart-pounding action-thrillers go, it's lacking in the kind of tangible, humanizing elements that elevate good stories of this kind out of the G.I. Joe stereotype. The second half of the book deals with the raid itself in a very dry, accurate and factual way. It paints a clear picture of the anti-climactic demise of Osama Bin Laden. It probably would have taken a ghost writer with superior skills to Maurer's to forge the rising anticipation, the fear, the frustrations into a more gripping read/listen. I need to make it clear that I'm not dissing the Navy Seal. I'm just saying a better ghost writer might have done more to bring his story to life. Many critics have questioned this author's motives for writing the book, and I think the end of the story really exposes them. He's clearly not in it for the money - since most of the profits from this book are going to veteran's charities. I think he's a man who is bitter about the 'spin' the media and the administration gave the killing of Bin Laden, because having been an eye-witness to it, he feels the factual truth was good enough and didn't require embellishment. But he's also a man, like many in front line positions, who holds tremendous animosity towards anyone with a say in military policy and decision-making who isn't sitting beside him in combat gear, holding a firearm. I think most people who experience war on the front lines feel this way. But it sours the end of the book rather badly. Because the author is clearly not a fan of Obama, and says so often and, at times, in disparaging ways. 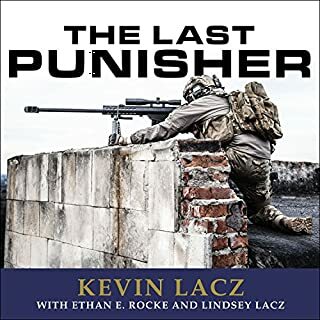 This book is a) a first hand account of the raid, b) a portrait of what these admirable and brave people go through to serve their country and c) a concerted effort on the part of the author to deny the present administration any share in the glory of Bin Laden's final demise. And although I thoroughly commiserate with the author's 'walk a mile in my shoes' feelings, I also think it does damage to the nobility of an account of what was a brave, courageous and well-implemented military action. I wouldn't want to walk in Owen's shoes, nor would I want to be responsible for making decisions about the fate of a whole country, its security, its economy and its place as superpower. I think it may be a central flaw in attempting to write a first person account of this sort of experience too close to the actual event, without the distance of some time and consideration to put the events in proportion. There have been some outstanding first-person accounts of war, but rarely are they written so soon after the event. The narration by Holter Graham was perfect for the material. No chest-pounding or self aggrandizement -- a just-the-facts vivid accounting of the raid on terrorist Osama bin Laden's compound in Abbottabad, Pakistan, by a member of Seal Team Six, who along with the 160th Special Ops Airborne successfully carried out Operation Neptune Spear in May 2011. 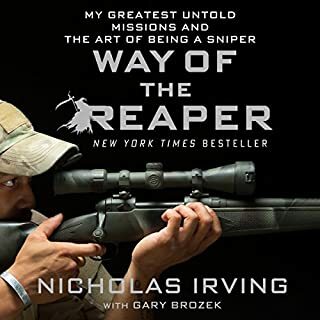 Owen begins with his order to report for a covert mission, he doesn't attempt to explain the political process leading up to the raid, nor does he expound on the military state of affairs; no sensationalized secrets or insider's look at military procedures. Owen does express his feelings towards Pres. 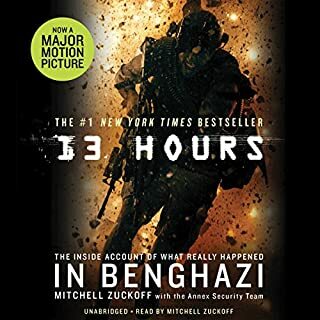 Obama related to this incident and the release of information surrounding the event, but this is not a political book (although there will undoubtedly will be blowback). No Easy Day is looking at the physical raid through Mark Owen's eyes; how do you rate or compare to anything when it's an account of an exceptional personal experience -- how do you get better than a participant's view? It is absolutely riveting hearing the minutes before the mission-start counted down, hearing about the helicopter crashing to the ground, walking blindly down the corridors of the compound; and it is spine-tingling imaging standing in the courtyard waiting for the pick-up, hoping to beat a missle launch any second to your back. It is a first rate accounting (and daring - observing the heated controversy about this release) of an unimagineably tense mission. 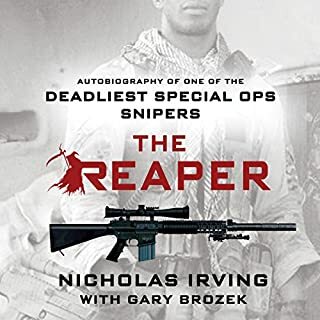 Like another reviewer, I also have close ties to some Spec-Ops members and their families, and know first hand that their self sacrifice and bravery is without par; this book sheds some light on this rare breed...the apogee of bravery and patriotism. I don't believe interest in this book is a case of public rubber-necking, but rather it shows the public's interest in understanding, and the quest for truth. 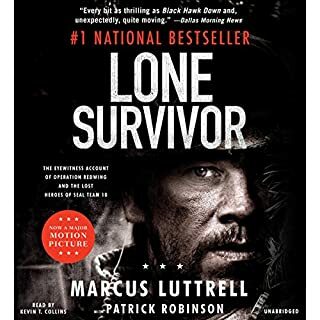 Of the books I've read about this war and Seal Team Six, Marcus Luttrell's Lone Survivor remains my top pick for a book that tells a personal story of bravery and patriotism with both integrity and class. But Owen's story is an exceptional account of an historic event unlike anything else, and, I have to hand it to him for brushing off personal glory, choosing instead to praise his Team mates. A captivating account of a harrowing military operation; Holter Graham is good with the narration and keeps it feeling real and not overly editted. not what I usually listen to but I found it very interesting,- listening to the mission from his point of view. it was different and enjoyable. Like most people I just had to read this book right away to see what all the fuss was about. It is an interesting story of a man's life as a Navy Seal. He starts as a kid that read a book written by an ex Navy Seal that inspired him to want to be a seal. He fulfilled his goal. The parts of the book that covers the operation to capture or kill Osama Bin Laden was exciting and full of action but did not give much more information than was already available. The narrator Holter Graham did an excellent job with the narration. I am sure the book will continue to be controversial and people will have strong belief's for and against the operation. This is the first hand story of SEAL Team Six member Mark Owen and the team that killed Osama Bin Laden. I believe it is the first book to give such an account. It is great listening. It reads more like a novel tan a memoir. Would you listen to No Easy Day again? Why? Get a first hand account of what happened on that historical mission. This is about the mission that every solider wished they were on. The sacrifices that these soldiers make so you can sleep peacefully in your beds at night. Great read! 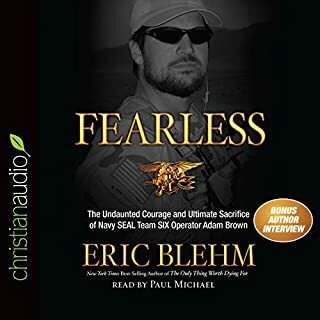 I purchased this book to hear a firsthand report of the Bin Laden mission and the rescue of Captain Phillips from the Somalian pirates, but it offered so much more than that. 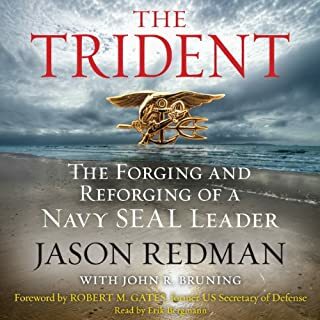 Its content described the driven personality of a SEAL ("the person who comes in second is the first loser"), the personal sacrifices, the beyond-rigorous training, and the cooperation, professionalism, and camaraderie among these brothers in arms. The preface explains that many authorities examined the content to make certain it did not divulge anything that could prove useful to enemies of the US. Being at the compound in Pakistan as the raid took place delivered exactly what I was looking for. As for the Somalian pirates, one had to come aboard the US ship for medical treatment, and our soldiers put him on deck, in view of the other pirates who were still on the lifeboat with their American captive, and fed this pirate ice cream and Cokes, in full view of the others, to weaken their morale. I thought that was hilarious. Then, of course, the SWAT team killed the pirates as soon as they could do so without jeopardizing Captain Phillips--every exciting . . . and similar missions go on all the time. The narrator did a wonderful job. His voice was well suited to the book. I highly recommend No Easy Day.